This add on is a wonderful tool which on the one hand enables traffic monitoring and on the other takes full care of the security of websites. Everybody who develops a website is most concerned about its traffic. Jetpack takes care of this aspect in a very effective manner. Its feature of calculating site analysis and statistics enables users to evaluate traffic of their websites. It creates connections with blog readers and engages them in such a way that they keep coming back to websites with email subscriptions, infinite scrolls to posts and contact forms which are highly customizable. Jetpack superbly guards data loss and hacking thus effectively tackles security issues which are risk factors to any website. Its Malware scanning, code scanning and site backup mechanism prove it to be a very powerful security and Backup service. This useful add-on helps improving content writing. With the help of its functionality, you can enhance the effectiveness of your content in such a way that it captures most clicks and increase ranking. It’s page analysis functionality checks all prerequisites of an effective write-up. It checks images to find whether these have focused keywords or not. Its page analysis functionality checks the length of write ups, Meta descriptions, subheadings and Meta titles. In effect, it ensures that your content should be loved by search engines. It has the most advanced XML sitemaps building mechanism which activates on mere checking the box. It develops effective XML sitemaps for a website and notifies Google and Bing of its location. Its effect increases multifold because it includes images of posts and pages so that they are found better in search engines as well. This Plugin has achieved the status of most responsive and mobile friendly photo gallery builder. It has become the favourite of all smart photographers, designers and developers. It is fast and thus built very beautiful galleries in minutes not hours. It is very easy to customise and adapts to everyone’s needs with it built in templates. One can build one’s own templates according to specific requirements. Photo gallery management is made easy and effective as one can choose cover photos and tags and place snaps in a variety of albums. One can add slide show and embed videos in galleries. Photos may be made supersize by showcasing these largest viewing sizes available. One important feature of this add-on is its social media integration. By virtue of this, Users can easily sell their photos to prospective customers and share these on social media. It is a free E-commerce plugin which allows its users to sell anything in the easiest way. By using this tool store owners and developers have full control over the entire process of selling since it offers most flexible ways, it now powers a large number of online stores. One can sell thousands of physical and digital products in many countries around the globe. Safety is yet another aspect which Woo commerce has taken care at its best. It is the safety of not only user’s data but the personal information of purchasers also. The only person with whom your customer’s data is shared is you. Keeping user’s data independent of any third party gives users of Woo commerce full control over their businesses. It is a very effective tool which always keeps the database clean. It carries out an automatic weakly cleanup process to remove all unnecessary data which includes trashed and stale data. In this way, the system runs on its full efficiency. If a user edits long posts several times, word press saves revisions. If editing is too frequent and data is too long the database soon gets clogged up, because numerous unwanted revisions occupy database space. The system goes slow hence affecting the efficiency of the web page. WP-Optimize, cleans up all old revisions and also keeps the database clean from unapproved and spam comments. Another important feature of this plugin is that while removing all spam and trash data it also keeps a set number of week’s data for a possible retrieval if required. Who will want that his or her website which was built with keen efforts, do not open easily? An average visitor will lose interest in a certain website if it refuses to open even after waiting few seconds. Caching is one area where Hummingbird comes to rescue. It scans the sight and gives analysis about the speed of the site. One can, therefore, address the issue of slow speed by just a few clicks. This plugin tells your site how it can fly fast and go higher like a little birdie. Hummingbird ultimately helps in getting and retaining most visitors to a website. Creating an event calendar and managing it with ease is no more a problem. It is highly professional and completely customizable. One has to just turn it on, configure settings with specific needs and then starts making events within 5 minutes time. The events calendar is being used by a variety of users from sole proprietors to universities, churches, eateries, musicians, Govt institution and nonprofit organisations. Events calendar help you creating recurring events which may be local or internationalised, save venues and organisers, checking upcoming events list and finding calendar month and date views. It even collects RSVPs and its paid ticketing features do sales collection as well. In short, this is the most efficient and easiest tool to manage events. This email service feature assists users specially businesses to send their campaigns to list of subscribers.Since it is free for up to 2000 subscribers, it has become no 1 choice for hundreds of businesses around the world. 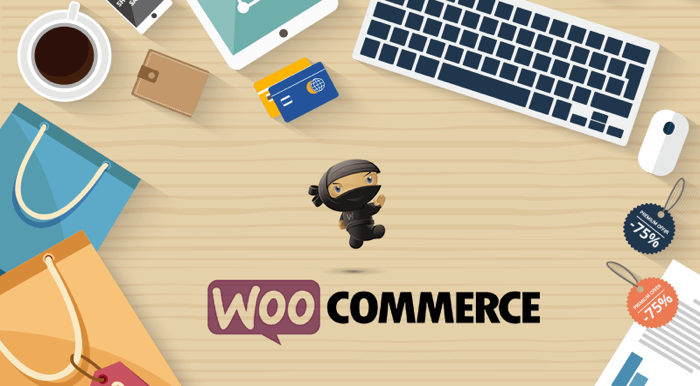 It’s fast connectivity and integration with other plugins like Woo commerce makes it a very effective tool in communicating with email subscribers. Jack Smith is a prolific freelance writer for computer technologies and issues related to new technologies in the field of information technology. He currently works for a Service that helps achieve academic goals.